Sorry I have been so quiet lately. Life. This little guy sits in my garden outside my kitchen window. He and his buddies pop up and down in the bushes like a 'Whack-a-Mole' game. It is fun to watch. Sometimes he gets very brave and sits on the window sill - with just the pane of glass separating us. He probably wonders why I sit there sewing everyday....he wouldn't be the only one! LOL! And these are my daffodils poking out of the ground....way too early for Spring flowers. I had the opportunity to decorate the shoppe window for Valentines Day! I used a great tutorial from Lucykate Crafts blog to create Valentines Day envelopes for the window. They are hanging in the window from Rik-Rak and tucked inside are stamped notes with loving Valentine sentiments. 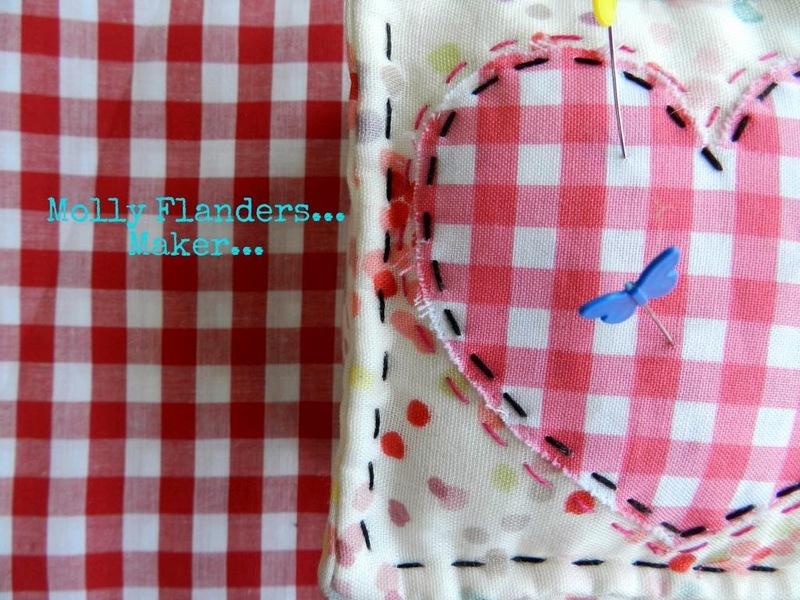 So pop over to Sew To Speak and check it out...you may want to make one for your own honey!!! And visit Lucykate Crafts....she has a very inspiring blog. Hopefully, life will get a little more normal around here. Happy Sunday Evening! If you are a Superbowl person - I hope your team wins! That bird is so lovely, I bet it is fun to watch. The fabric envelopes are a great idea, I bet they would work nicely at Christmas too. I hope things sort themselves out for you soon. This is such a lovely post Mary. I have birdy friends I watch out for in my garden. My favourites are a pair of zebra striped pigeons that wander through our back yard in the late afternoon. Your V-Day window idea sounds so lovely. You were the last thing I thought of as I fell asleep last night! I wondered where you'd been hiding yourself ... hope all is back to normal soon ... and that you and yours are all ok? love the envelope and the bird activity. My cat makes sure there's none of that round here ... harrumph! I remember you asking me about the birds in your bushes! They are house sparrows, that's a female in your pic. Birdy buddies are the best! How have I missed your last two posts?? We have your little friends cousins in our garden too, and in our house!! Your bulbs look fine Mary, dont worry!